19 cm xxii, 149 p.
His death was tragic--a violent homage to the power of his voice. His legacy is indomitable, remaining vibrant and alive. 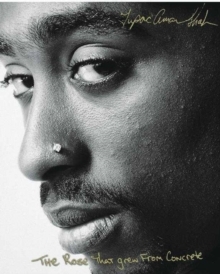 Here now are Tupac Shakur's private thoughts, conveyed through the pure art of poetry - a glimpse into his enigmatic life and its intense contradictions. Written in his own hand at the age of nineteen, these poems embrace and express his spirit, passion, energy, intelligence...and his ultimate message of hope.